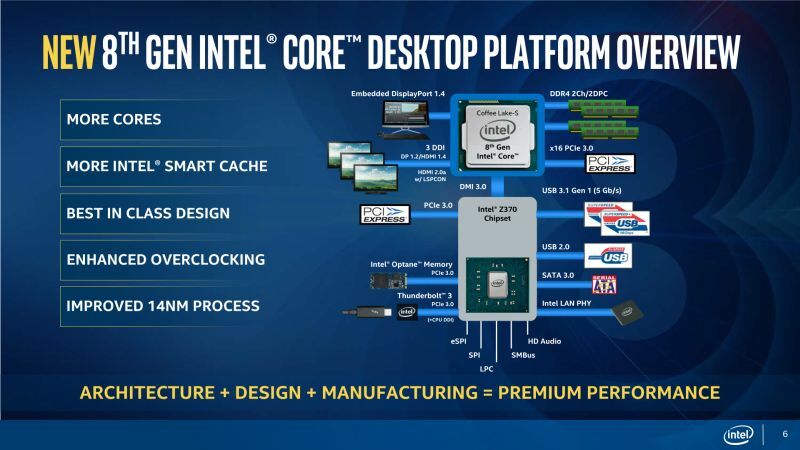 Intel has officiallly announced the 8th generation of desktop processor codenamed Coffee Lake. 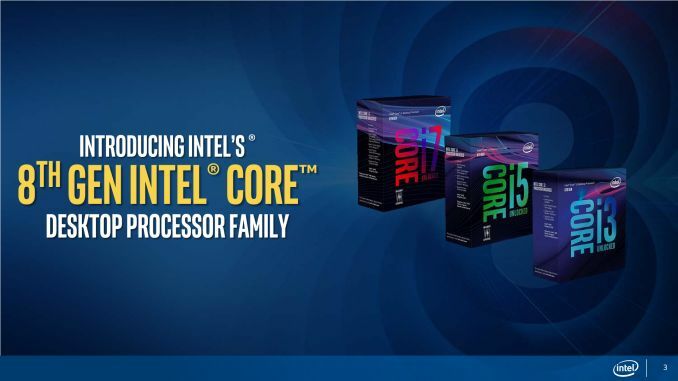 The Coffee Lake family includes 6 different processors: the Core i7-8700K (6-Core / 12-Thread), the Core i7-8700 (6C/12T), Core i5-8600K (6C/6T), Core i5-8400 (6C/6T), the Core i3-8350K (4C/4T) and the Core i3-8100 (4C/4T). As usual, HyperThreading technology is only available on Core i7 processors. And to take advantage of these new CPUs, a new platform is also available: the intel Z370 chipset. 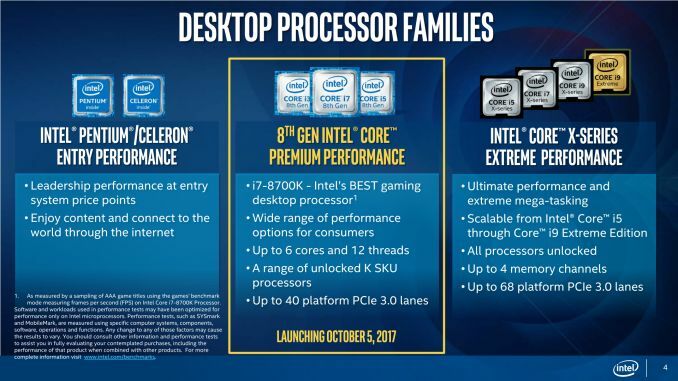 Intel Coffee Lake processors will be launched on October 5th 2017. Prices range from USD $117 (i3-8100) to USD $360 (i7-8700K). Wow! Although they are not in the local computer shops here, I can’t wait to get one and give it a try. Seems a beast!